Both players were tied on -16 at the end of the 72 hole stroke play event which was taking place at the Estonia Golf & Country Club. Cianchetti had bogeyed the last hole to fall in to the play-off but will have been pleased with his final round 67 (-5). Hovland, who started the day with a 2-shot lead after his course record 63 in round 3, shot a creditable 69 (-3) but ultimately had to settle for second place. Simon ZACH from the Czech Republic finished third after rounds of 69, 69, 70 and 66 (-14). Scotland’s Robert MACINTYRE (SCO) -13 and Connor SYME (SCO) -12 continued their great form with fourth and fifth place finishes. When one considers that both, along with most of the other Scottish players, had withdrawn on the eve of the competition as their golf clubs had been lost by KLM en route this is even more remarkable. The Scottish clubs only arrived on site during the morning of the first round and thanks to the flexibility of the European Golf Association the players were allowed to re-enter and play together at the back of the field. Hardly the best preparation. The European Amateur Championship starts on Wednesday 3rd August at the Estonia Golf & Country Club. Estonia, a member of the European Union since 2004, borders Russia and Latvia and is in the North East of the Continent. 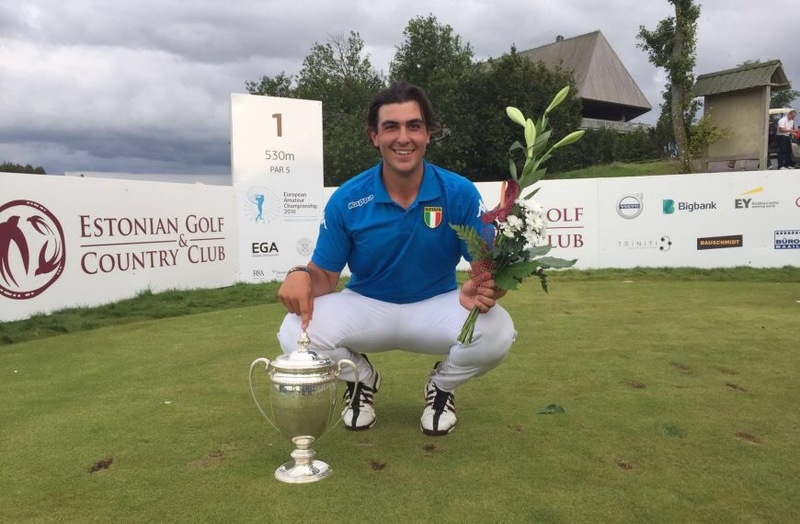 This prestigious international Championship is run by the European Golf Association (EGA). This year’s championship will be the 29th in the history of a competition which was first contested in 1986. It has been hosted in 17 different countries to date, with Estonia becoming the 18th this week. It has been played in Great Britain & Ireland (GB&I) on 6 occasions; the courses to host the event being Hillside (1991), Dalmahoy (1993), Celtic Manor (1999), Nairn (2003), Carton House (2012) and The Duke’s St. Andrews (2014) last year. Next year it returns to England with Walton Heath GC in Surrey hosting the event in June. The reigning champion is Stafano MAZZOLI. The Italian shot rounds of 65, 67, 69 and 68 (-19) at the Penati Golf Resort in Slovakia to hold off GB&I’s Gary HURLEY (-18), Gavin MOYNIHAN (-17), Scott GREGORY (-16) and Jonathan THOMSON (-16). In addition to Gallacher and McIlroy other GB&I past winners include Jim PAYNE (1991), Paddy GRIBBEN (1998), Stephen BROWNE (2001), Brian MCELHINNEY (2003), Matthew RICHARDSON (2004), Rhys PUGH (2012) and Ashley CHESTERS (2013 and 2014). Chesters is the only player to have won the Championship twice. A 54-hole cut will be in force with the 60 lowest scores and ties qualifying for the final day’s 18. Exemptions were also available to the defending champion, a single nomination from each EGA member nation, competitors in the most recent Bonallack Trophy, St. Andrew’s Trophy and Jacques Léglise Trophy events as well as four players from the host nation. Located 20km from Estonia’s capital city, Tallinn, the championship will be played on the championship Sea Course at the Estonia Golf & Country Club. 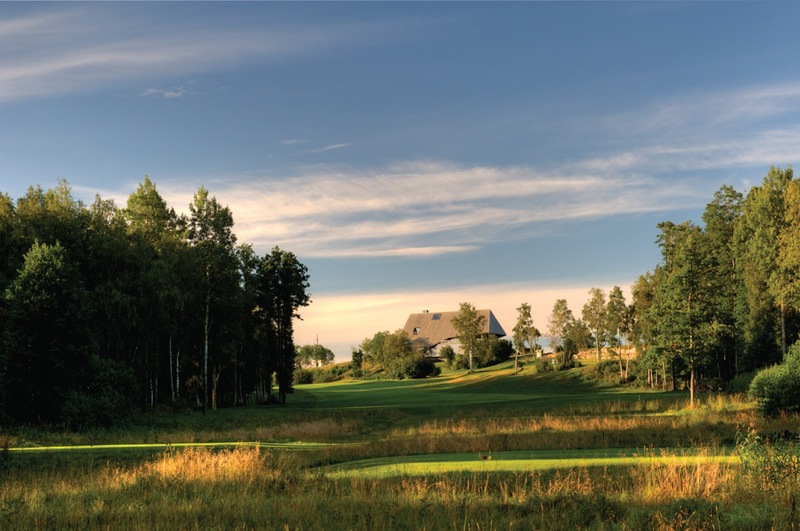 The Sea Course plays to 7,100 yards and is a parkland course that sits near the Baltic Sea and the Jägala River. Weds 3rd August – Showers. Wind 9 mph (NE). Max. 19°C / Min 12°C. Thurs 4th August – Rain. Wind 12 mph (N). Max. 19°C / Min 14°C. Fri 5th August – Rain. Wind 10 mph (NE). Max. 21°C / Min 14°C. Sat 6th August – Showers. Wind 9 mph (NE). Max. 21°C / Min 14°C. The winner also receives an invitation to compete in next year’s Open Championship – in 2017 this will be held at Royal Birkdale in Lancashire, England. This entry was posted in European Amateur Champ. and tagged Amateur Golf - Other, Estonia Golf & Country Club, European Amateur Championship. Bookmark the permalink.